I tried the original but it was too heavy for my medium-fine hair. I have a lot of hair on my head but the individual hairs are fine, so heavy oils can leave it feeling greasy. This is perfect, smells incredible and nourishes my dry/bleached ends. Recommended by my hairdresser to use on my hair that had become dry from being in the sun and a little over colouring, I am delighted with my morrocanoil light oil treatment. Having purchased a small bottle just to try I will be buying a large bottle next. Moroccanoil Light Oil Treatment leaves your hair silky and soft, brushing your hair becomes much easier. 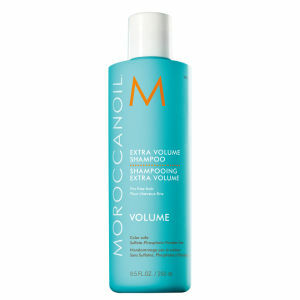 Moroccanoil Light Oil Treatment 25ml is a good product for dry and low hair. Moroccanoil Light Oil Treatment is a great product! I really noticed the difference after using this product. When I forgot to use it once, my hair was very unruly. Moroccan treatment oil in a fantastic product, a must have for my hair routine! So far am enjoying using the Moroccan Oil Light - I have quite fine, greasy hair so I think the regular Moroccan Oil would be too greasy and heavy. This works really well giving my hair shine and thickness. Possibly a bit too early to tell if it's much better than John Frieda Frizz Ease (my usual serum) but so far, so good. Bought for my sister as she has finer hair than me and this does not weigh her hair down. Deals with the frizz and keeps it soft.